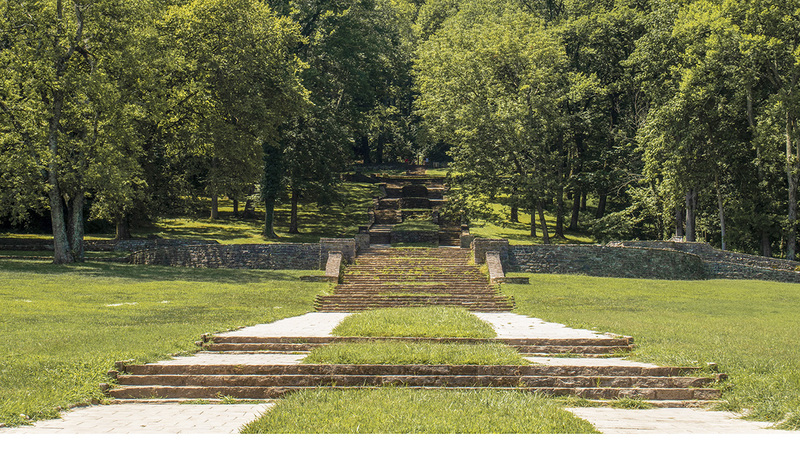 Comprising two contiguous parks­, Percy Warner Park and Edwin Warner Park, this 3,112-acre landscape is administered as a single entity. 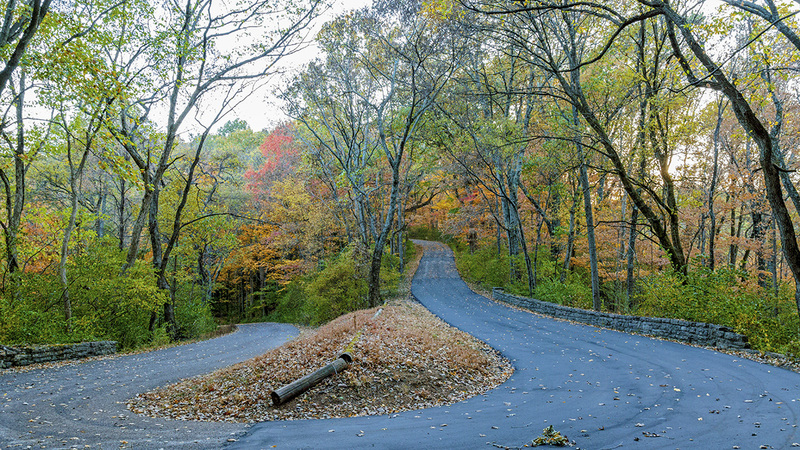 Percy Warner Park was established in 1927 when 868 acres of the Belle Meade Plantation were donated to the City of Nashville and named in honor of the late chairman of the Nashville Parks Board. 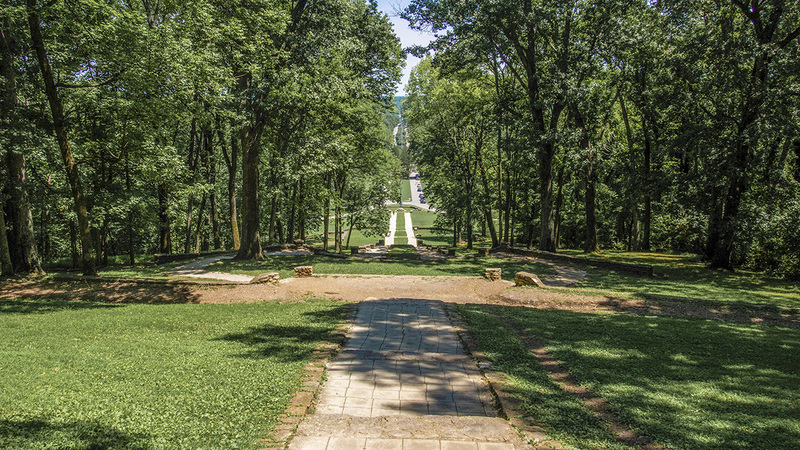 Efforts by Edwin Warner (brother of Percy Warner) saw the property expand in 1930, and by 1936 the parkland had reached 2,664 acres. 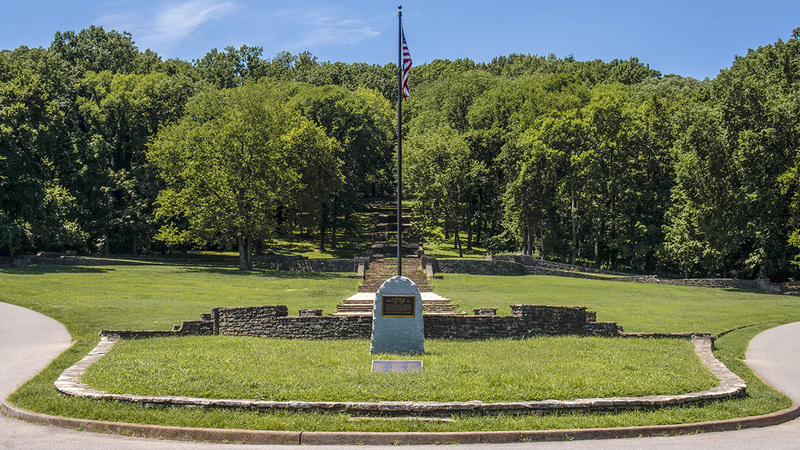 One year later, a 606-acre parcel in the southwest of the site was renamed Edwin Warner Park. 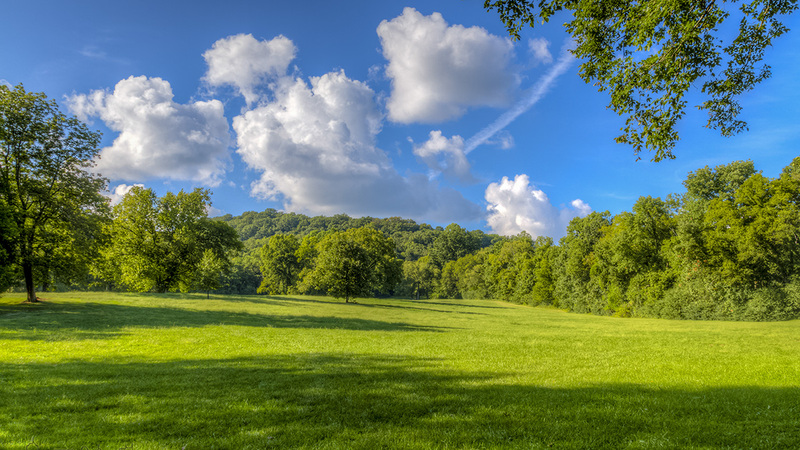 In 2009 the Friends of Warner Parks purchased the 448-acre H.G. Hill property (including the Burch Reserve) on the north side of Highway 100, bringing the landscape to its current size. 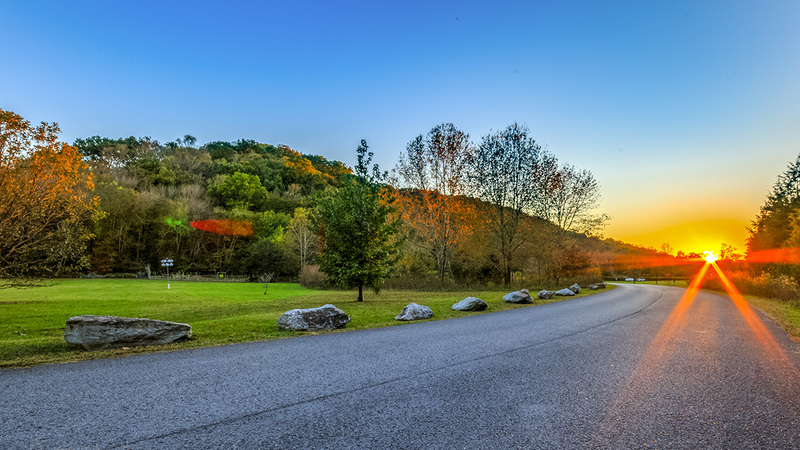 Located among the hills and ridges of the Highland Rim, Percy Warner Park is bounded to the north by the Cheekwood Botanical Gardens and Museum of Art, Old Hickory Boulevard to the south, Chickering Road to the east, and Interstate 100 to the west. The park’s main entrance, at the northeast, features a gateway of dressed sandstone blocks topped with stone eagles, which leads to a long, multitiered, limestone “allée” (as it is known locally) designed by Bryant Fleming. 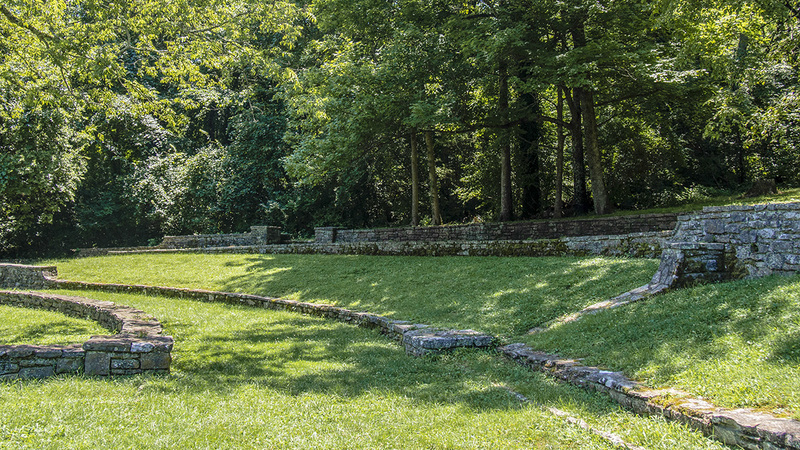 Comprising columns, steps, terraces, and curving walls, the allée is the axial terminus of Belle Meade Boulevard, the central spine of the historic Belle Meade community to the northeast. 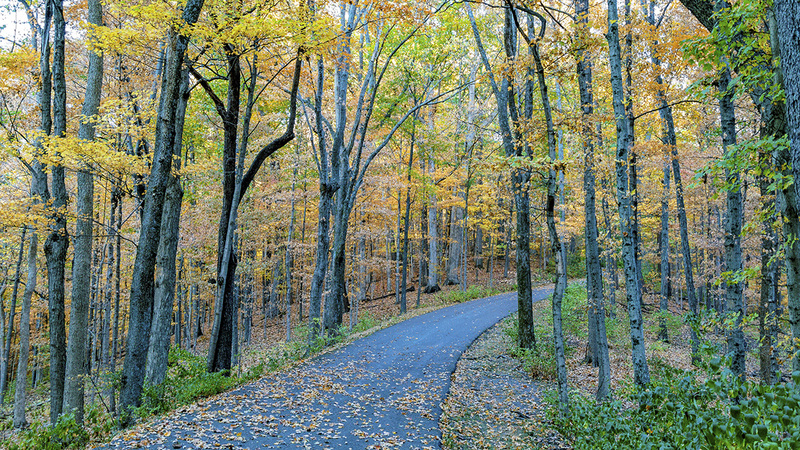 The park’s extensive woodlands are populated with maple, hickory, beech, and oak trees. 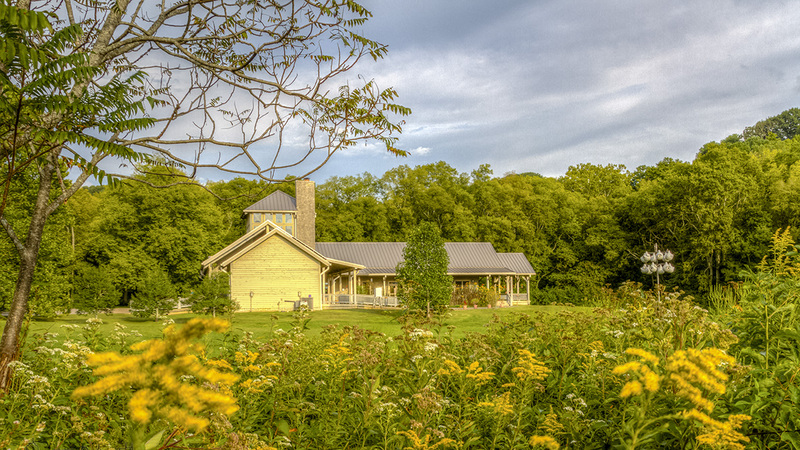 More than seventeen miles of hiking trails meander through its hollows and wet-weather springs, while meadows and open green, with public amenities, are situated along its perimeter. 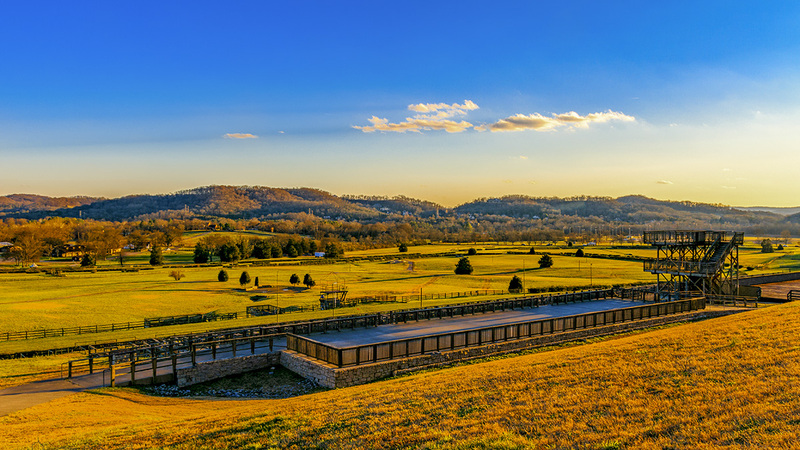 Newer additions include the Percy Warner Golf Course in the north, along with a baseball field and maintenance buildings to the south. In the southwest, the adjoining Edwin Warner Park features a dog park and baseball field along its southeast perimeter. 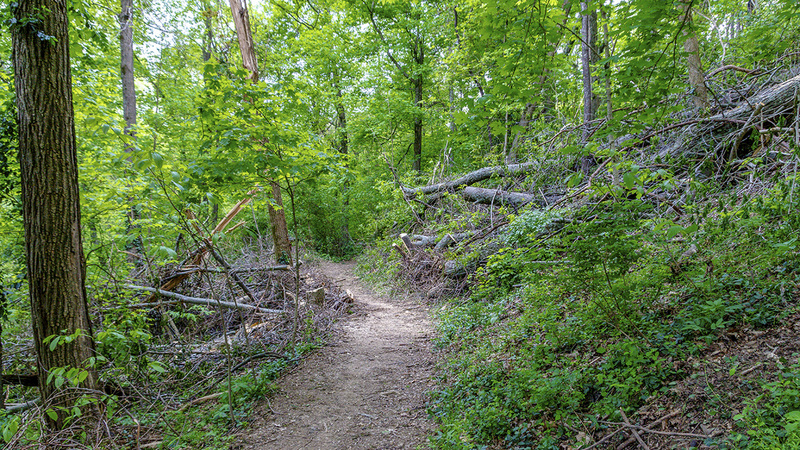 The northern section of the park’s ridges and hollows includes old-growth virgin forests, small ponds, and meadows. 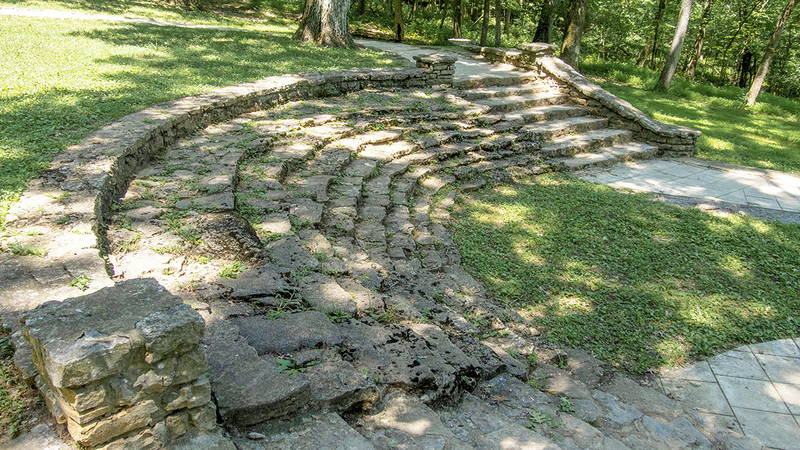 The Warner Parks were added to the National Register of Historic Places in 1984.